A quick loan is a type of personal loan which is provided by the online lenders for a short period of time. These are unsecured loans which mean no showcase of asset ownership is required. The duration is very short compared to traditional bank loans. No paperwork is required. No physical visit is required for any bank or branch. The interest rates offered are quite low and reasonable. The reason for applying for a quick loan can be personal and not required to specify. The major reason people apply for personal loan online is accessibility. You can apply for the loan anytime and anywhere. All you need is a smartphone and working internet connection. • There are certain documents which are required to avail a personal loan online. These involve your identity proof, address proof, and residential proof. If you can’t provide any of the required documents your loan request might be disapproved. So instead check the eligibility before you submit the request. Documents like Aadhar card, Pan card, passport, driver’s license, rental agreement, utility bills, salary slips, and bank statements are required. • The maximum loan eligibility on quick loan app on CASHe is set at 30% of your monthly salary if you wish to take a loan for 15 days. So the maximum amount of loan you can take is INR 50,000. So, for e.g. : If you earn INR 30,000 per month you are eligible to take a loan of INR 9,000 for 15 days. If you want to take a loan for 30 days, you can get the amount up to 40% of your monthly salary. For 90 days loan duration, you avail a personal loan online up to 100% of your monthly salary. And for 180 days of duration, you can avail 200% of your monthly salary. • At times, there might be some documents or specification you might lack to use the personal loan app, in such a case, it’s best to check the eligibility in advance and get your valid documents in place. For e.g. : if you have newly joined and don’t have salary slips for 3 months, you might have to take for a couple of months to avail the quick loan. 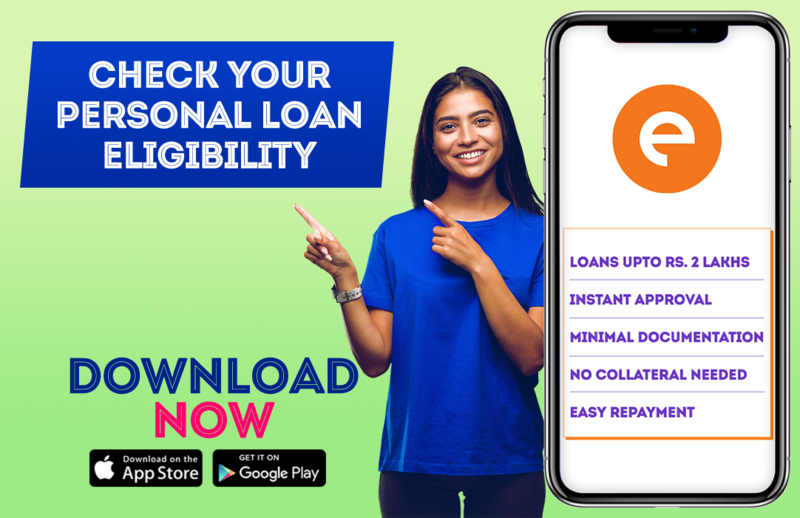 • Another reason to check the eligibility is to see if you are in line with the credit rating criteria of the personal loan app. You can opt for a post-dated cheque if you don’t meet the internal credit ratings. It is always advisable to read the FAQs and loan eligibility terms and conditions on the app before opting for one. One best part of personal loan app is that you can re-apply. Which means if your loan gets rejected, you can rectify your mistake and get it checked and reapply.